All it takes is a shoebox, creativity and some fantastical imagination to design your own mini iPhone home theater. 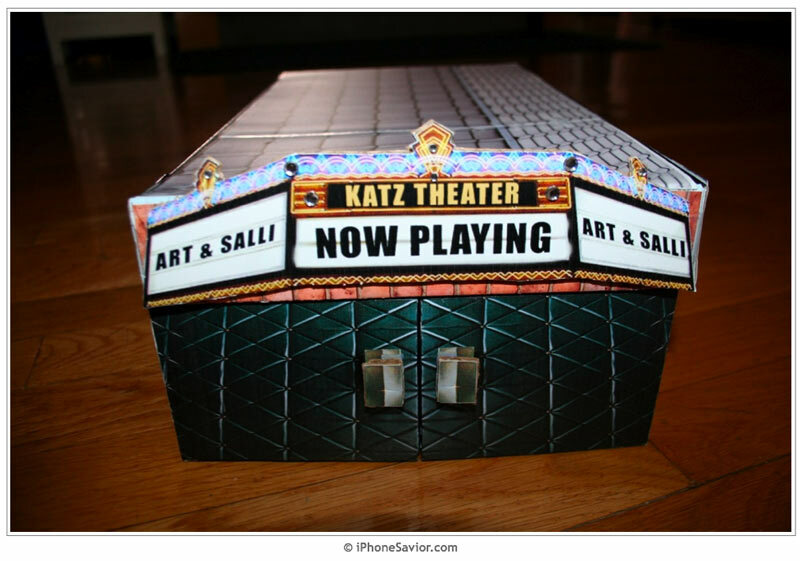 The end result of the "Katz Shoebox Theater" is awe inspiring. It caused instant tingling in my geeky parts. The use of the old theater templates appears to be a key to this project looking so authentic (photos). "All you need is a shoe box, a laser printer, a sharp knife and rubber cement," Gary Katz wrote on his blog. "A snowy weekend can also help." Finally one of the most awaited film this year was released in the world. Alice In Wonderland, which is the best adventure stories of all time is more attractive and grand format thanks to the cast is fantastic dimension 3.